Marketing tech company Zeta Global is making good use of its recent $140 million Series F funding round. After acquiring Boomtrain earlier this year, the company today announced it has acquired Disqus, a service you’re probably familiar with thanks to its ubiquitous online commenting service that powers the commenting sections of sites that range from TMZ to The Atlantic and Entertainment Weekly. A source close to the two companies tells us that the acquisition price was close to $90 million. This marks Zeta’s eleventh acquisition since it was founded in 2007. Zeta Global’s acquisitions have typically focused on more fundamental technologies like AI and machine learning, customer lifecycle management and other adtech related services. At first glance, Disqus doesn’t quite seem to fit into this list, but Disqus sits on a huge data set that goes beyond your favorite troll’s political comments. Disqus gives these marketers the ability to target users based on their interests. You can infer quite a bit about people simply based on which sites they comment on, after all. At the same time, though, most of the online commenting has now moved to social media and the number of comments on most sites is in a steady decline. So while Zeta is acquired a large hoard of data, it remains to be seen how long that data will stay current. Zeta promises that it will continue to grow Disqus’ core business and platform and use its existing AI capabilities and data assets to enhance Disqus’ analytics. Zeta also expects to integrate Disqus’ platform with its personalization and messaging capabilities to build new offerings for publishers and brands. 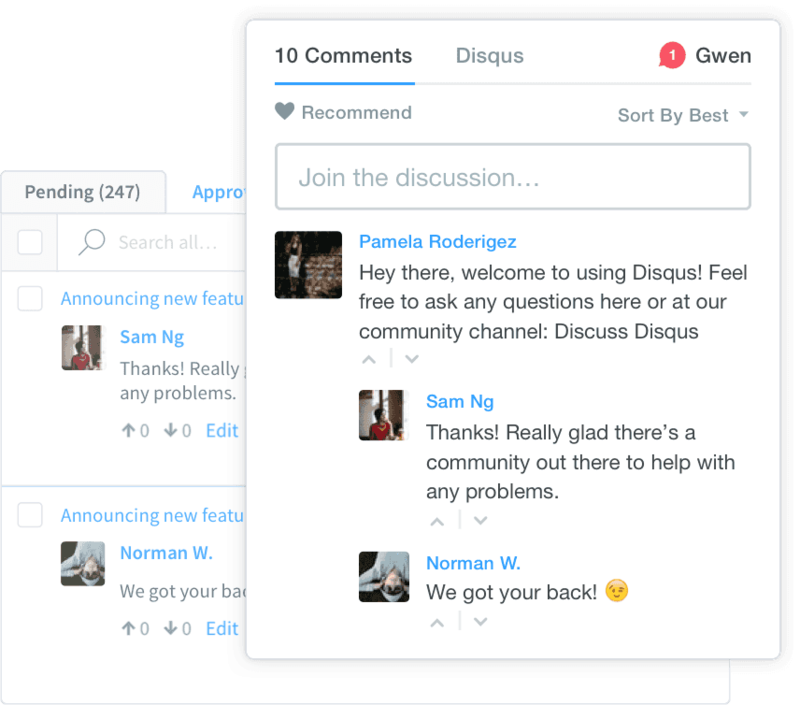 Disqus launched in 2007, when there was still a lot of excitement around commenting and a number of similar third-party commenting systems like Intense Debate (acquired by Automattic in 2008) and Livefyre (acquired by Adobe in 2016) sprung up that all took a slightly different approach to offering this kind of service but essentially offered the same features. About a year ago, we reported that Disqus laid off about 20 percent of its staff, for a total of 11 employees, in an effort to rebalance its priorities to focus more on data services for publishers and advertisers. That’s clearly what Zeta was interested in, too. Ahead of the acquisition, Disqus had raised a total of $10.5 million, which isn’t exactly a lot for a 10-year-old company. Investors include the likes of North Bridge Venture Partners, Union Square Ventures, Felicis Ventures and Knight’s Bridge Capital Partners. Disqus was also an early Y Combinator graduate (and we used it here on TechCrunch for a while, too).